Weekends are the best! Long weekends – even better. We all crave that small break in which we can escape our everyday routine and get away from it all to find fun and solace. 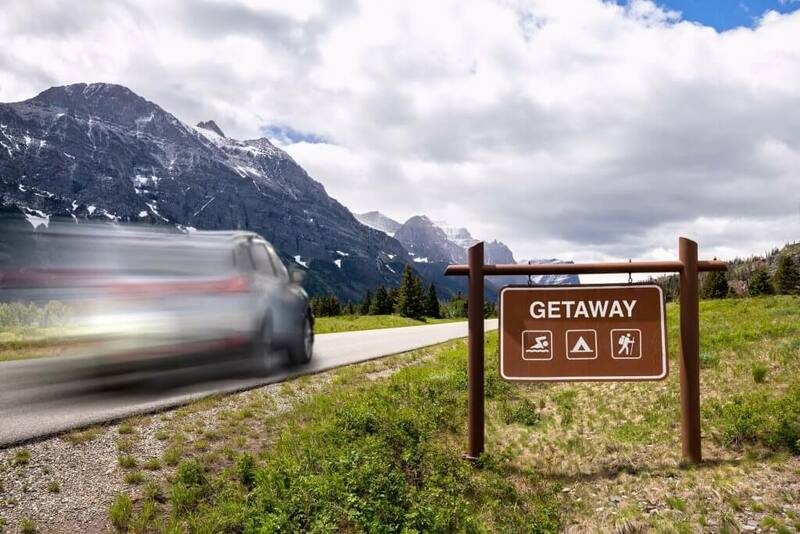 What better than planning a quick road trip? Why quick? Because a full-fledged vacation will require a break of at least 5 to 10 days and we hardly get to make such plans, once or max twice in a year. So, for those who live near the metro cities, we have a few places that can give you the experience of an outstanding road trip. Lonavla: This is one of the most popular destinations for weekend getaways preferred by those who live in and around Mumbai. Lonavla is around 85 to 90 kilometers away from the city. Once you cross the city limits of Mumbai, soon you should be expecting lush greenery and fresh air around if you are going out in the Monsoon season. When you reach your destination, you can indulge in activities like waterfall rappelling and camping. You can also visit Korigad Fort, Tiger’s Leap, Lohagad, Karla and Bhaja caves, Lonavala wax museum, and Duke’s nose. Alibaug: Alibaug is located about 120 km south of Mumbai. If you are a beach freak, you will absolutely fall in love with this place. 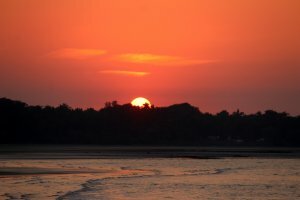 The best time to visit Alibaug is from November onward till a little before the monsoon, as the sea can be dangerous in the rains. Apart from beautiful beaches, you can visit Murud-Janjira. Janjira is a fort, situated on a small island off the cost of Murud. It is considered to be one of the strongest marine forts in India. 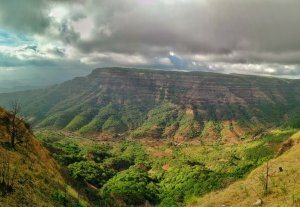 Panchgani: This is located about 100 kilometers from the city of Pune. Being a hill station, the entire area is peppered with a number of tourist attractions. You can visit the Table Land which is a plateau on top of a mountain, watch the scenic Krishna Valley from Sydney Point, take a boat ride in the Dhom Dam, get soaked in the Lingmala Falls, visit the Mapro garden for fresh fruits and juices and so much more, the list is never ending! Matheran: If you start from Pune, you can reach Matheran in 2 and a half hours as it is about 117 kilometers away. This hill station is famous for its pleasant weather all year round. 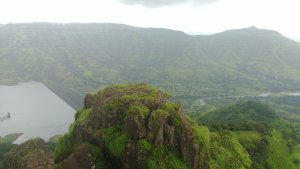 The weather makes Matheran one of the best places to go for a trek. Places like Chanderi Caves, Kalavantin Pinnacle, Kalavantin Durg, etc. are famous for this purpose. Apart from that, you can take part in Waterfall Rappelling at Dodhani Waterfalls and Kondana Caves. 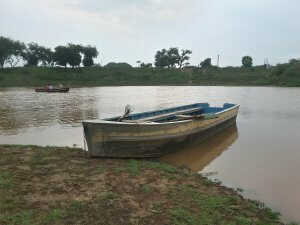 Damdama Lake, Gurgaon: This beautiful lake is situated about 50 kilometers from Delhi. It is located at the base of the Aravali hills and is a water reservoir for a whopping 3,000 acres of land. Damdama Lake was formed when a stone and earthen dam constructed by the British was commissioned for rainwater harvesting in 1947. Vrindavan: Evoke your spiritual side by the visiting numerous temples of Vrindavan. It is located around 182 kilometers from Delhi. You can visit religious sites like Banke Bihari Temple, ISKCON Vrindavan, Radha Damodar Temple, Madan Mohan Temple and Sri Radhavallabh Vrindavan Temple. When on a long weekend, destinations like Jaipur or Himachal Pradesh are also amazing options. It will take around 6 and 8 hours to reach these destinations respectively. 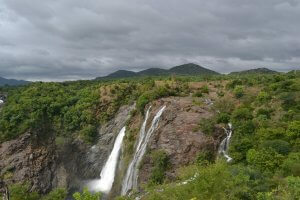 Shivanasamudram Falls: These majestic waterfalls are located about 135 kilometers from Bangalore. The water from the Kaveri River rushes through the rocks and ravines of the Deccan Plateau and drops off to form the Shivanasamudram waterfalls. These falls are majorly divided into two major parts – Gaganchukki and Barachukki. 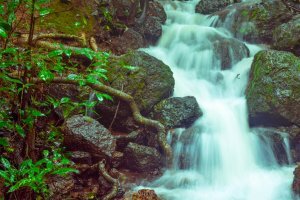 It is advised that you start your road trip early in the morning to reach the waterfalls on time as the place can get airly crowded later in the day. 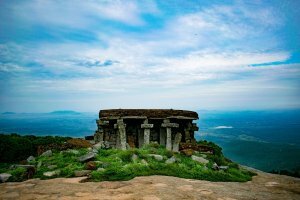 Skandagiri: Skandagiri is about 60 kilometers from Bangalore and is the perfect place for trekking. Here you will experience a classic combination of history and adventure. On this trek, you will set out to reach ruins which date back as far as the 18th century. The distance of this trek is around 8 kilometers and it is so fulfilling to see the panoramic views of the night sky and the sunrise from there. 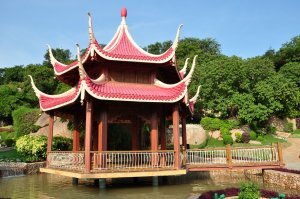 Ramoji Film City: A fun-filled destination if you and your family are in Hyderabad. 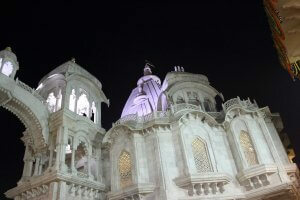 Ramoji Film City is an entire day of entertainment for the tourists. The entire area is packed with things to do like adventurous activities, spending time with nature, etc. You can even spend the night here as this is not only a theme park but also offers accommodations. 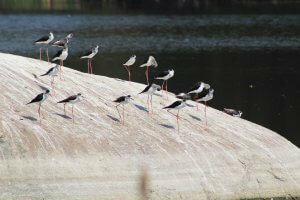 Nehru Zoological Park: Those who want to get away from their urban lives can escape to this Zoological Park. This place offers a complete offbeat experience. You can be up close with mother nature and animals like the Indian Rhino, Asiatic Lion, Bengal Tiger, Panther, Indian Elephant and several others by the means of a jungle safari. This was a heads-up on the locations. Don’t forget to carry things like documents, first aid kit, personal medications, cash (including change), a mini cooler (for drinks and snacks), music and other things which you think are necessary!